For a long time, dog owners have attended classes, met one-on-one with trainers, or enrolled their dog into training programs with the expectation their dog would be transformed into a well behaved canine companion. More often than not, expectations are not met and these dog owners are back to square one seeking a better option. 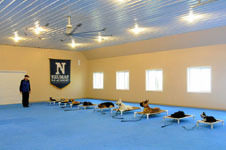 Our Dog Training Camp, Neuman K-9 Academy, was founded by Josiah Neuman in 2007 with the idea that dog owners needed a program that provided more than just conventional obedience training. We called this training idea Boot Camp. This program is unique and unmatched by anything we have seen nationwide. It is an innovative program that teaches dogs to be well behaved in public places, to run on a human treadmill, to respond to commands under distraction, and to work as a team with their owner. 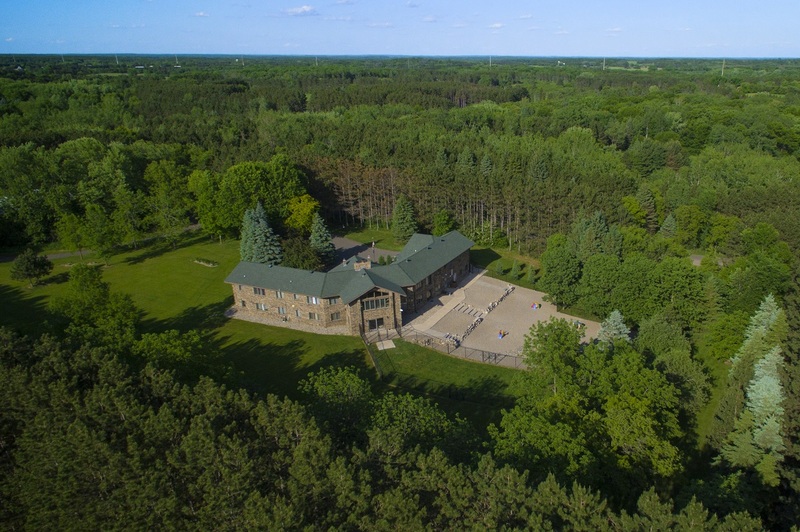 Our home and training campus is located in Hugo, Minnesota on 10 acres of pristine wood lands. 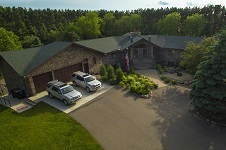 We have a 3800 sq/ft climate-controlled indoor kennel area; a 3000 sq. 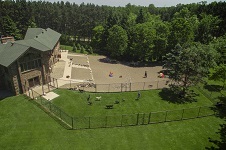 ft. indoor training building; groomed walking trails, and 10,000+ sq/ft of fenced play areas. This environment creates a peaceful retreat for dogs to run, play, and socialize within the safety of fenced and gated areas. To date we have received dogs for training from: Alaska, Arizona, California, Colorado, Florida, Iowa, Illinois, Indiana, Kentucky, Louisiana, Maryland, Michigan, Missouri, Minnesota, North Carolina, North Dakota, Nebraska, New Jersey, New Mexico, Nevada, New York, Ohio, Oregon, South Dakota, Tennessee, Texas, Virginia, Washington, Wisconsin, Wyoming, and internationally from the countries of Brazil, Canada, Switzerland, and Turkey. 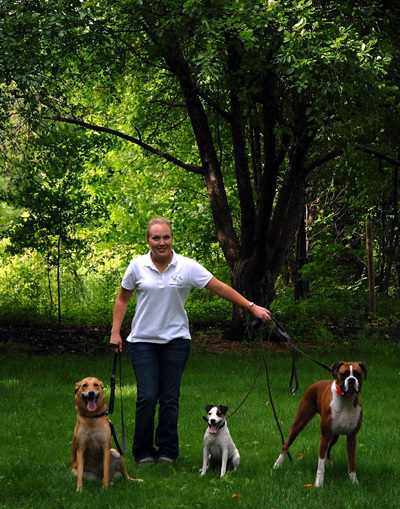 We have provided dog training for professional athletes of the NFL, NHL, MLB, and the NBA. The success of our board and train program continues to grow. 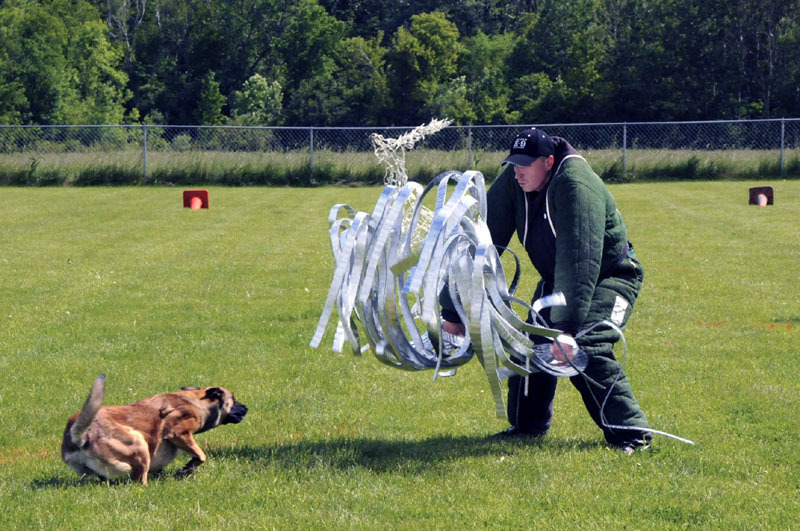 Josiah Neuman developed an avid interest in dog training in 2001 with his involvement in various protection sports; Protection Sport Association (PSA), K-9 Pro Sport, Mondio Ring, IPO, and the Iron Dog Association. In May, 2007 Josiah received his certification as a Master Trainer (CMT). His areas of expertise include Professional Obedience Training, Behavior Modification, and Protection Training; scoring 96% or greater in all areas of study. Josiah is a Certified Dog Trainer through the International Association of Canine professionals (IACP-CDT). Articles written by Josiah have been published internationally. He has been quoted in and written about in both industry and mainstream publications. As a professional trainer, and coach for competitive protection sports, Josiah has assisted several teams that have gone on to compete and win on a national and international levels. October 2010, Josiah certified as a level 1 Mondio Ring decoy for the United States Mondio Ring Association. June 2012, Josiah certified as a level 2 Mondio Ring decoy for the United States Mondio Ring Association. May 2014, Josiah was selected to decoy the USMRA National Championship in Boulder Colorado. Summer Duggan has been an avid animal lover her entire life and has grown up with a very special connection to all creatures great and small. Some of her past experiences include many years of horseback riding lessons in the classical style of Dressage and working at the San Francisco Zoo handling birds, mammals, reptiles, amphibians and marsupials while speaking to the public about animal education and habitat conservation. Summer has also volunteered extensively at several animal shelters and breed rescue organizations. 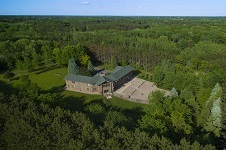 Some of the seminars and workshops Summer has attended include "New Perspectives on Canine Behavior, Emotion and Training" with Dr. Patricia McConnell and Steve White of i2i K9 held at the University of Minnesota and completion of the Three day Bedrock Training Method Course taught by Margo Woods of Applewoods Dog Training. In 2007, Summer was recognized by Pet Sitters International as an Accredited Pet Care Provider. In 2009 Summer was approved by the American Kennel Club as a Canine Good Citizen Evaluator. In March 2012, Summer certified in canine first aid and CPR. As a professional dog trainer at Neuman K-9 Academy, Summer handles each and every dog enrolled in Basic Training and Boot Camp. She has assisted in the training of several hundred dogs, from basic to advanced obedience, pack socialization & management, personal protection, and behavioral modification. Summer has assisted in the training of dogs that have received recognition by the AKC Canine Good Citizen program and certified as Therapy Dogs and service dogs. Summer has also played an integral part in our Working German Shepherd Dog Breeding Program (In Dogs We Trust / Wir Vertrauen) providing extensive pedigree research, whelping and hand raising puppies, and producing dogs that are actively participating in a variety activities (Schutzhund, Mondio Ring, Agility, Dock Diving, Therapy Dogs, Competitive Obedience and Search & Rescue). Additionally Summer has handled and shown several German Shepherds to earn their national and international conformation championship titles through the International All Breed Canine Association. 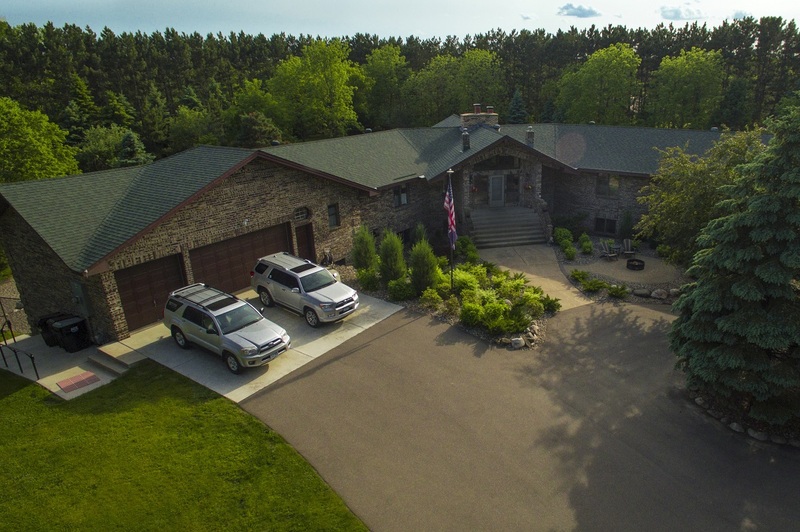 She has personally selected, trained, and handled dogs from this breeding program demonstrating her ability to responsibly breed, train, and develop superior German Shepherd Dogs with great working temperaments and excellent health. Summer is member to The United Schutzhund Clubs of America, United States Mondio Ring Association, and the International Association of Canine Professionals. Joe Rudie joined the Neuman K-9 Academy team in November 2009. Joe has always been an animal lover. He was born in Germany then moved to the Mankato, Minnesota area. He was a graduate of Mankato West High School in 2005. Animals have always been a passion of his all through his life. Joe has always had dogs around him even as a child. When he got his last dog, she had a few social problems and he helped her to overcome them. He has always tried to be an advocate of animals. He would try to help missing pets to find their owners. Since joining the team at Neuman K-9 Academy, Joe has been an apprentice dog trainer, and assisted in the canine physical conditioning program. In November 2012 Joe was promoted to a trainer position and is assisting with obedience, boot camp, and service dog training. In January 2016 Joe was promoted to Kennel Manager. I grew up in Oakdale Minnesota and even at a young age my love for animals was strong. I was always looking for ways to help out the neighborhood pets, my own pets and also the wild life. My first job was pet sitting for all the neighbors and that grew into working for a horse stable through my high school years. I attended College in both Minnesota and North Dakota were I majored in veterinary technologies and animal science. I hold a degree in veterinary technologies and have worked as a technician for five years. It was while I was working as a veterinary technician that I acquired my first dog as an adult. She was abandoned at our clinic and was suppose to be my first foster dog, but she never left. She became a great learning experience due to she turned out to be a special needs dog. Because of her my knowledge expanded into nutrition based on allergies, dealing with abused animals and their behaviors, and the biggest one learning to have patients not just with animals but with people as well. I have continued my rescue work an currently share my home with three dogs, two cats and even a turtle. Each one of these animals has taught me something new, and I have enjoyed the learning experiences each one has provided. I am very excited to be working with the great people of Neuman K9 Academy and getting a chance to further my knowledge so I can continue to help animals become their best. Kara joined the Neuman K-9 Academy team in December 2014. Growing up, I always wanted to be a veterinarian. My resolve only got stronger after rescuing my first dog off the streets. He taught me so much as a child and it made me want to know more about how to properly take care of my animals. Instead of going to a big college to become a veterinarian, I attended Minnesota School of Business and graduated as a veterinary technician. However, after working in a clinic for about a year, I realized this wasn’t my passion and I moved forward in learning more about behavior and picking up training knowledge from friends and other experts. I share my home with two dogs and two cats and occasionally take on extra members for dog sitting for friends. I play a very active role in their lives and teach them all I can for them to be their best. In return, I learn new things each day whether it is from my own animals or from those I help. I am very happy to be a part of the Neuman K-9 Academy team. I look forward to learning all they have to teach me and taking in all the new experiences.